Set investment policies, guidelines and compliance monitoring procedures. Set overall investment parameters for investment team. Empower Chief Investment Officer, Credit Committee and investment team their respective responsibility. Ensure internal policies and investment guidelines provided by clients are complied with. 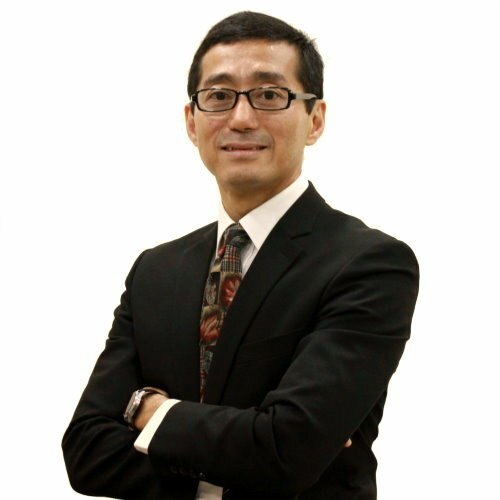 Mr. Chan is one of the founders of Opus Asset Management. He has over 35 years of investment management/advisory experience. He started with HSBC Asset Management in Hong Kong where he eventually became the Chief Investment Officer for the Asian ex Japan markets. He was responsible for over USD3.2 billion of assets under management and a team of ten investment professionals. He was a pioneering investor in the emerging Asian markets and helped launch the Korean Asian Fund, which makes him one of the first foreign institutional investor in Korea. He also worked with the Asian Development Bank in launching the Asean Fund (1988) and the Asian Convertible Fund (1991). In 1993, Mr. Chan left HSBC to establish the Asian business for TCW Group Inc, a leading US based pension fund manager and grew the Asian business to over USD1.5 billion under management. 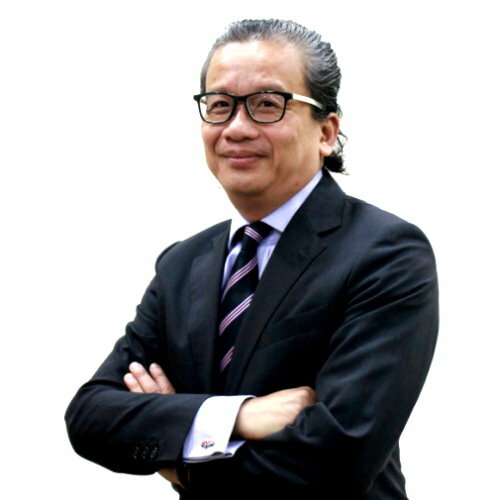 Mr. Chan left Hong Kong in 1996 to return to Malaysia where he established Gadek Asset Management as a principal shareholder and managing director before selling it to Phileo Allied Bank in 1998. The Company was renamed Phileo Asset Management and established a niche in the management of fixed income products and other unit trust assets. Mr. Chan was also a non-executive director of Phileo Allied Berhad, the holding company of Phileo Bank. He left Phileo in 1999 to establish Opus Capital Sdn. Bhd. (now known as Cope Capital Partners Sdn. Bhd.) to focus on the provision of investment advisory services to several offshore private equity and real estate investment funds. He was also the principal partner of Pan Asia Capital Management, a HK based private equity company that managed in excess of USD100mil in private equity assets – the investments within Pan Asia Capital has since been exited. In 2002, the principal partners of Pan Asia Capital Management then started an investment fund to invest into Japanese real estate which had up to USD 400mil in gross value of real estate assets. These assets have since been repackaged into a REIT and listed in Singapore as Saizen REIT whereupon Mr. Chan exited from his involvement with the Japanese real estate group. Mr. Chan graduated from Trinity College, Cambridge with a degree in Economics. He held an Investment Manager’s licence in Hong Kong (1986 to 1997) and a Fund Manager’s Representative licence in Malaysia (1997 to 1999). Currently, he holds a Capital Markets Services Representative’s Licence. Dato’ Ross joined HSBC Bank Malaysia Berhad in 1972 and served in various capacities ranging from Corporate and Retail Banking, Branch Banking, Area Management, Head of Treasury & Foreign Exchange and was also Head of Group Audit Malaysia. In his last appointment before retiring in December 2007, he was Managing Director of the HSBC Amanah onshore business franchise in Malaysia. On retirement, he was appointed as Senior Advisor and Executive Director of HSBC Amanah Takaful (Malaysia) Sendirian Berhad until 31 December 2008. Concurrently he was also appointed as an Independent Non-Executive Director of HSBC Amanah Malaysia Berhad where he chaired the Risk Committee and also sat on the Audit and Nomination Committees. He retired in April 2016. In addition, Dato’ Ross was the Council Member of the Outward Bound Trust of Malaysia (Outward Bound School) from August 2009 till June 2018. He then joined the CIMB Group Holdings Berhad Board/CIMB Islamic Bank Berhad Board in April 2016 as an Independent Non-Executive Director. In April 2017 he was made Chairman of CIMB Islamic Bank Berhad. Currently he also sits on an Advisory Board overseeing a Private Equity Fund (Ekuinas OFM Program) as an independent member. He is also a member of the Board of Trustees of Lembaga Zakat Selangor, and an Independent Non-Executive Director on the Board of an Asset Management Company. Dato’ Ross completed his Banking Diploma (Part 1) from The Institute of Bankers, United Kingdom in 1973. Mr. Lee had 30 years of professional experience as an economist, with almost 12 years in Bank Negara Malaysia and 18 years in financial services. Since 2002, he was the Head of Economics Research with CIMB Investment Bank Berhad before retiring in May 2014. He supervised a team of five economists covering global and regional economies. Currently, Mr. Lee is a guest writer for Focus Malaysia. On 1 July 2016, Mr. Lee was appointed as the Executive Director of SocioEconomic Research Center (SERC), an independent research center. SERC is funded by the donors from The Associated Chinese Chambers of Commerce and Industry of Malaysia (ACCCIM). Mr. Lee served in the Economics Department of Bank Negara Malaysia (BNM) from 1984-1996. His responsibilities as Senior Economist and Assistant Manager included policy formulation in areas related to the balance of payments, manufacturing, construction, and investment sectors. He also participated actively in BNM’s research policy work and co-authored the publication of discussion papers and BNM’s Annual Report articles. Mr. Lee then worked as an economist with M&A Research from 1996-1998 before moving on to be the Chief Economist with HLG Securities until February 2002. He was Head of the Economic Services Unit in Hong Leong Bank before joining CIMB Securities (Research) as the Head of Economics in October 2002. Mr. Lee is the recipient of many awards: He was voted “Best Economist” in The Edge Polls twice and ranked top 3 four times from 2000-2008; “Best Economist” by the Asset Magazine Hong Kong – Local Currency Bond Market of Malaysia in 2007. He also led CIMB Macroeconomic Research to be ranked amongst the top 3 for nine consecutive years (2005-2013) in the Asiamoney Polls. Mr. Lee holds a BA (Hons) majoring in Economics from the University of Malaya, Malaysia and a Master’s Degree in Development Economics from Williams College, USA. Pn. Mahani is currently an Independent Non-Executive Director of Unisem (M) Berhad and Scicom (MSC) Berhad. Pn. Mahani started her career with Bank Negara Malaysia in the Investments and Foreign Exchange Department for about 7 years from 1977 to 1984 in reserve management, dealing in foreign currency deposits, fund raising in syndicated loans and bond issues for the Malaysian Government, statutory bodies and government linked companies, and money market activities. 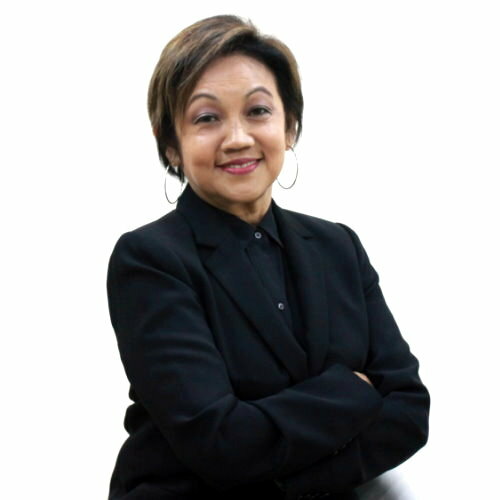 She left Malaysia for Singapore for 17 years from 1984 to 2001, working with the Regional Office of United Malayan Banking Corporation Berhad (subsequently known as Sime Bank and RHB Bank), covering both offshore and domestic banking. She subsequently returned to the Head Office in Kuala Lumpur, Malaysia in 2001. For the following 3 years, she headed Premium Banking in the Consumer Division, and was then promoted to be the Division Head of the International Trade and Transaction Banking Division (“International”). As the Head of International, she was driving the bank’s trade business, managing correspondent banking relationships with foreign financial institutions and in charge of the overall overseas businesses in Singapore, Bangkok, and Brunei. Her last appointment was as the Executive Vice President of Operations and Services. She was in charge of the bank’s overall back office operations, compliance functions, service quality and the physical infrastructure and properties of the whole bank. During her period of employment with RHB Bank, she was a Board member of the bank’s Labuan offshore subsidiary and Financial Park Labuan. She also headed various taskforces and working committees in the bank, and was a member of the Asset and Liability Committee. Pn. Mahani left RHB Bank in 2004 to spend time with her children studying in the United Kingdom. Pn. Mahani graduated from the University of Malaya, Malaysia with a Bachelor Degree in Economics, majoring in Business Administration in 1977. 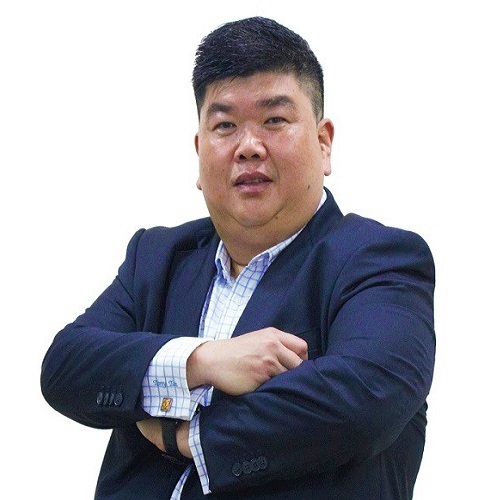 Mr. Siaw is one of the founders of Opus Asset Management and is currently holding the position of Managing Director and Chief Investment Officer in the company. He started his career as a Risk Manager and Actuarial Consultant at NMG Risk Managers & Actuaries Sdn Bhd. He then joined Gadek Asset Management (later renamed Phileo Asset Management) in 1996 as the Portfolio Manager in charge of fixed income where he grew the fixed income portfolio under management to RM430 million over a four year period. Later, he joined Hong Leong Group Asset Management in 2000 where he was responsible for over RM1billion of funds under management and a team of seven investment professionals. He was later promoted to General Manager, Investment/Chief Investment Officer of Hong Leong Assurance Bhd (“HLA”) in 2002 where he was responsible for approximately RM3 billion (of which approximately RM2 billion was in fixed income securities) of HLA’s investment portfolio. Mr. Siaw holds an MSc degree in International Banking & Financial Studies from the University of Southampton and a BSc (Honours) degree in Actuarial Mathematics & Statistics from Heriot-Watt University, Edinburgh. He holds a Capital Markets Services Representative’s Licence. Ms. Ng joined Opus Asset Management as the Head of Fixed Income in 2006. She is responsible for leading the fixed income team in the company. 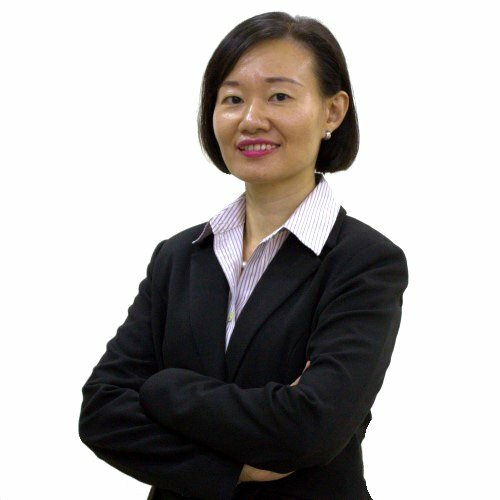 Ms. Ng started her career as an Assistant Accountant with Phillip Commodities (M) Sdn Bhd in 1991. In 1992, she joined D&C Bank (now known as RHB Bank) as a management trainee specialising in the area of credit. She was later posted to head the credit department of the Port Klang Branch, servicing mainly corporate clients around Port Klang. Her job function includes marketing, submission of credit reports for approval and also loan recovery. In 1997, she left to join Eon Bank (now known as Hong Leong Bank) and was attached to the Corporate & Commercial Banking at the Head Office. Besides marketing and credit proposals, she was responsible for the evaluation of credit reports submitted by various branches for recommendation to the Credit Committee. She joined the Investment Department of Hong Leong Assurance Bhd in 1999, to manage the fixed income portfolio which grew from less than RM500 million to approximately RM1.5 billion. Ms. Ng graduated from Monash University, Australia and holds a Bachelor of Economics majoring in Accounting. She is also a Certified Practicing Accountant under the Australian Society of CPAs (“ASCPA”). She holds a Capital Markets Services Representative’s Licence. Mr. Tan joined Opus Asset Management as Senior Fund Manager in 2013. He has over 30 years of experience in the financial market. He started his career at Arab Malaysian Merchant Bank in 1989. He then joined Great Eastern Life Assurance Malaysia Berhad in 1997 as the Manager of Fixed Income and was subsequently promoted to Vice President where he headed the Fixed Income Investments Department, managing a fund size of about RM20 billion. In 2007, he joined Avenue Invest Berhad for 2 years as Director/Head of Fixed Income. 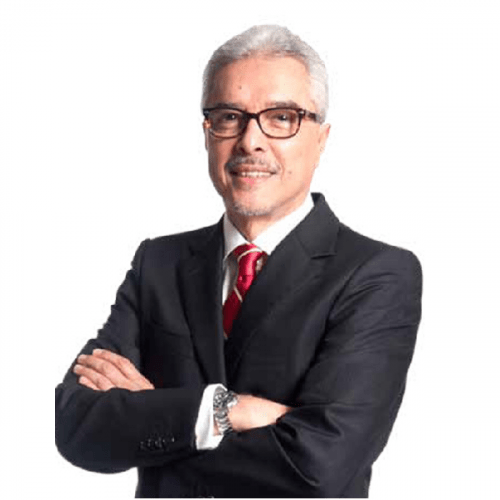 Prior to joining Opus, Mr. Tan was attached to Kenanga Investment Bank Berhad as Head of Fixed Income and Senior Vice President, Portfolio Management from 2009 until 2013. 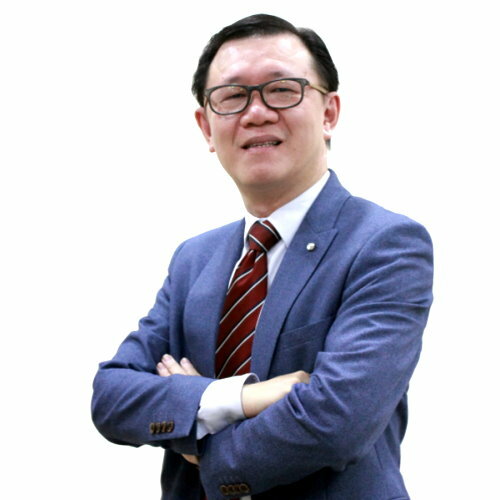 Mr. Tan is a member of the Persatuan Pasaran Kewangan Malaysia (PPKM) and a Certified Financial Planner (CFP). He holds an Advanced Diploma in Business and Management from the University of Wales, U.K. He is also a holder of a Capital Markets Services Representative’s Licence. En. 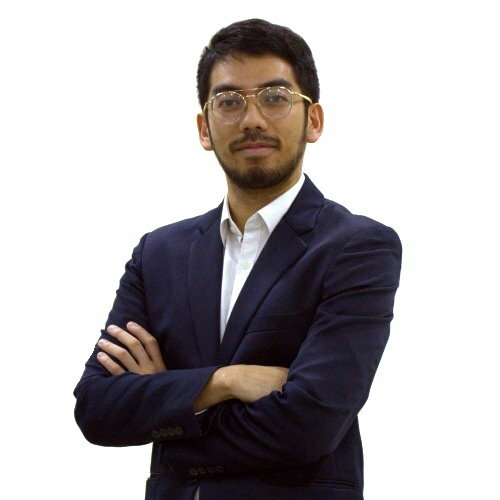 Fuad is an Investment Manager where he is primarily responsible for co-managing portfolios together with the rest of the investment team, as well as undertaking regular macroeconomic and credit research. Since joining Opus Asset Management in 2008, he has accumulated 10 years of experience in credit research covering various industries, from his previous role as Senior Analyst. En. Fuad holds a Bachelor of Science degree in Electronics Engineering from the University of Warwick, U.K. and Master of Science degree in Analogue and Digital Integrated Circuit Design from Imperial College London, U.K. He holds a Capital Markets Services Representative’s Licence.